My dad has never been a big cocktail drinker. Or wine drinker. He’s a beer guy. At his house he has two kegerators, which he always keeps stocked with refreshing brews. It’s always fun to see what my dad has on tap when I go home to visit my parents. There is only one place that I can recall seeing my father drink liquor: Hawaii. Every year, my family goes on vacation there (I know, rough life), and I’ve learned that my dad loves a good Mai Tai, and any other drink with fruit and rum. I guess that when you’re soaking up the sun on a tropical island, a cold brew just doesn’t do the trick. This Father’s Day I’m bringing the vacation to my dad with a rum-based drink I know he’ll enjoy. This season the strawberries have been especially good—you can’t beat them! Shake them up with some good quality rum and a few other fresh ingredients, and sip your way into relaxation. Combine all ingredients in a pint glass full of ice, and shake vigorously for several seconds (to break up the strawberry and mint leaf). Strain into a rocks glass, and then fill the glass with crushed ice. 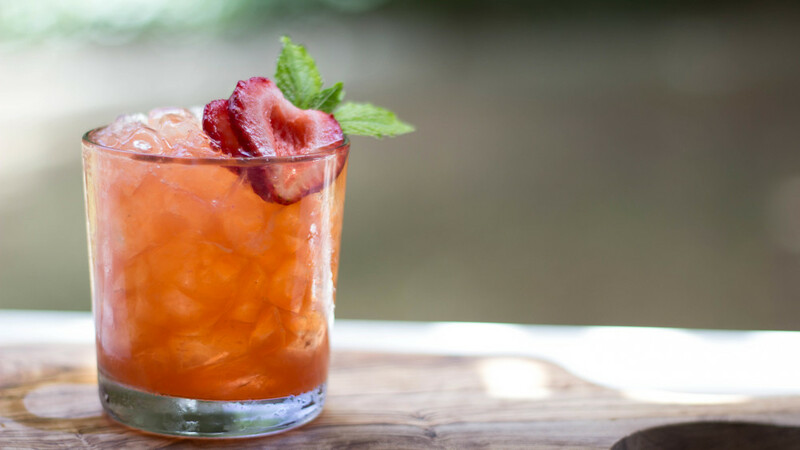 Garnish with strawberry and mint sprig (optional). As Kendall mentioned earlier this week, we’ve been getting great weather here in San Francisco. 70 and sunny with pretty blue skies; all you want to do is be outside. It’s the type of weather that has you staring out your window at work, daydreaming of picnics, bike rides, and beaches (I’ve caught myself several times). The type of weather that makes you want to just hang out on the porch, drinking a refreshing beverage. Well, we actually don’t have a porch, but slowly sipping on this cocktail made life just as good. 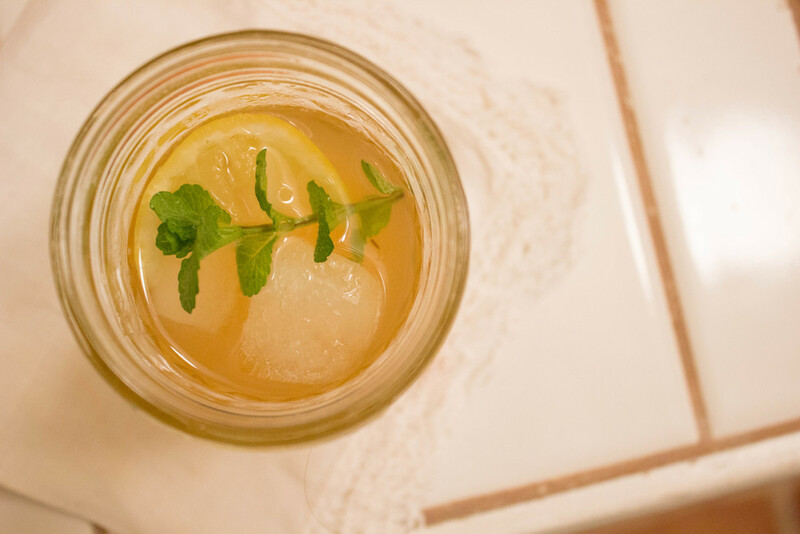 Combine all ingredients in a rocks glass or half pint Mason jar (as photographed) full of ice, and give it a quick stir. Garnish with lemon wedge and mint sprig. I love how easy this cocktail is to make (and drink). 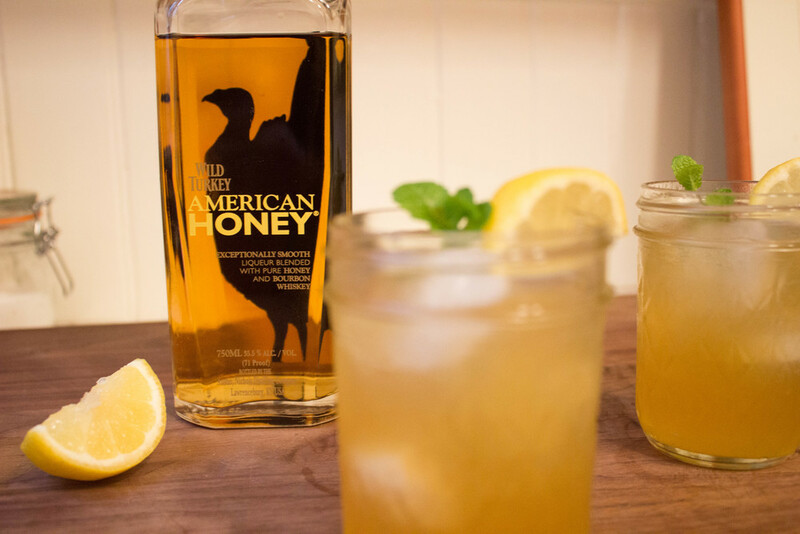 Wild Turkey American Honey, the bourbon-based honey liqueur, adds the perfect amount of sweetness to a cocktail, and saves you the trouble of making syrup. 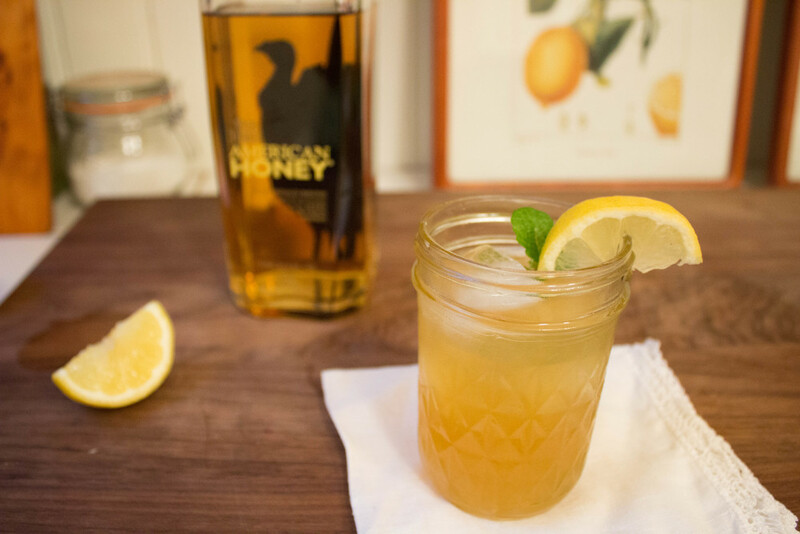 American Honey is sweet, smooth, and absolutely delicious. My mother, who is in NO way a fan of bourbon (or any other spirit) drinks it straight. Bottle to glass. No ice. For me, it’s too sweet to drink straight, but I love mixing it with bourbon, unsweetened iced tea, or lemon juice and water. It's the perfect liqueur to spice up your summer—pick up a bottle and give it a try!